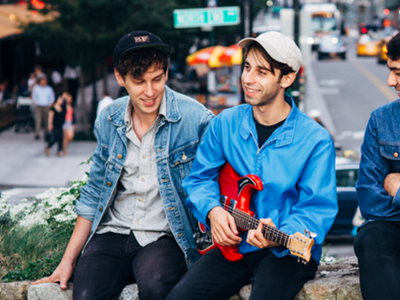 Vocalist/guitarist Ezra Tenenbaum conceived EZTV as a homemade solo project until the opportunity arose to work with bassist Shane O’Connell and former Widowspeak drummer Michael Stasiak. Tenenbaum’s songs are like time capsules of brilliant ’60s/’70s Power Pop gems, and in that fine tradition, he can sing about life’s most soul-bruising moments and attach it to a soundtrack of indescribably beautiful melancholy, thereby making it as uplifting as a clear blue summer’s day. Just like its name, EZTV is short, sweet, simple and memorable.